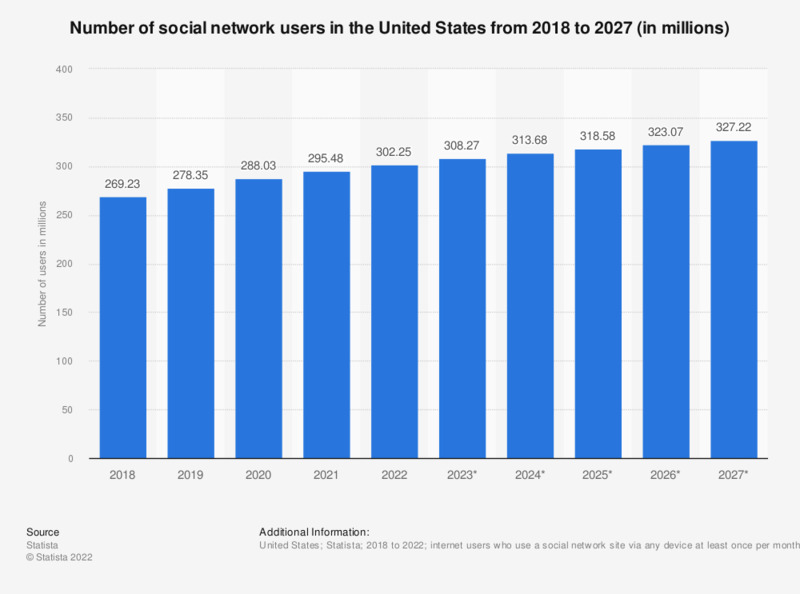 This statistic shows the number of social network users in the United States from 2017 to 2023. In 2018, there were some 243.6 million social network users in the United States, the equivalent of about three quarters of the country's population. Social media usage accounts for 21.4 percent of total mobile minutes in the United States, a trend that is driven by social media apps and mobile messengers.